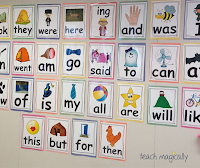 How do I teach with the Rhyming Posters? 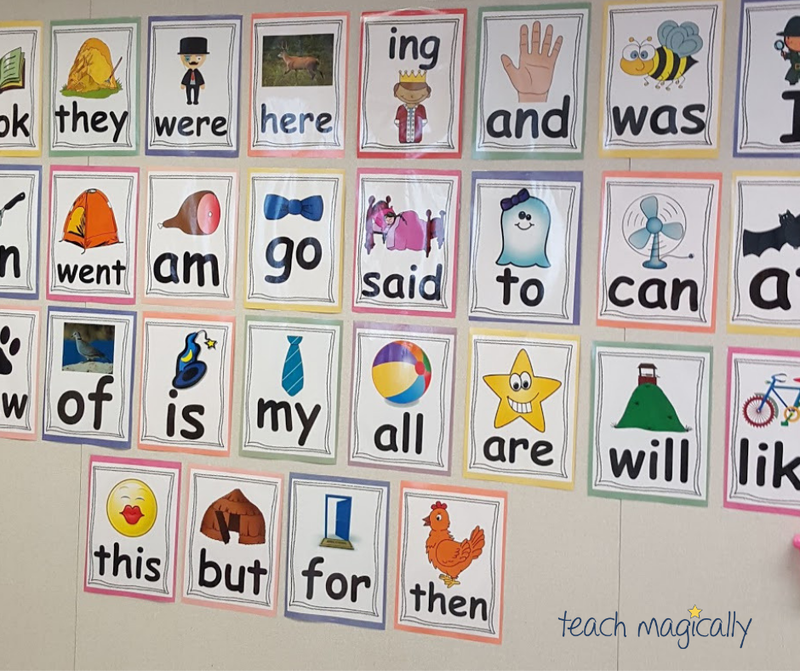 I love to use rhyming posters to help students with writing. 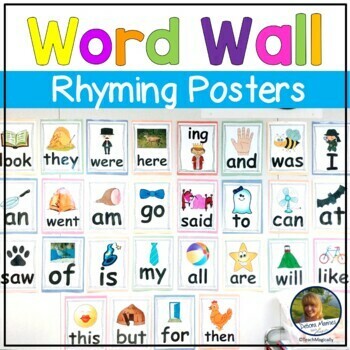 The rhyming posters make it easier for beginning readers and writers find words so the focus is the content of the writing. 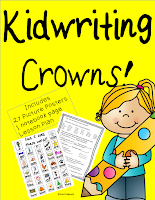 You focus on the rhyming part of the "Kidwriting Crowns! 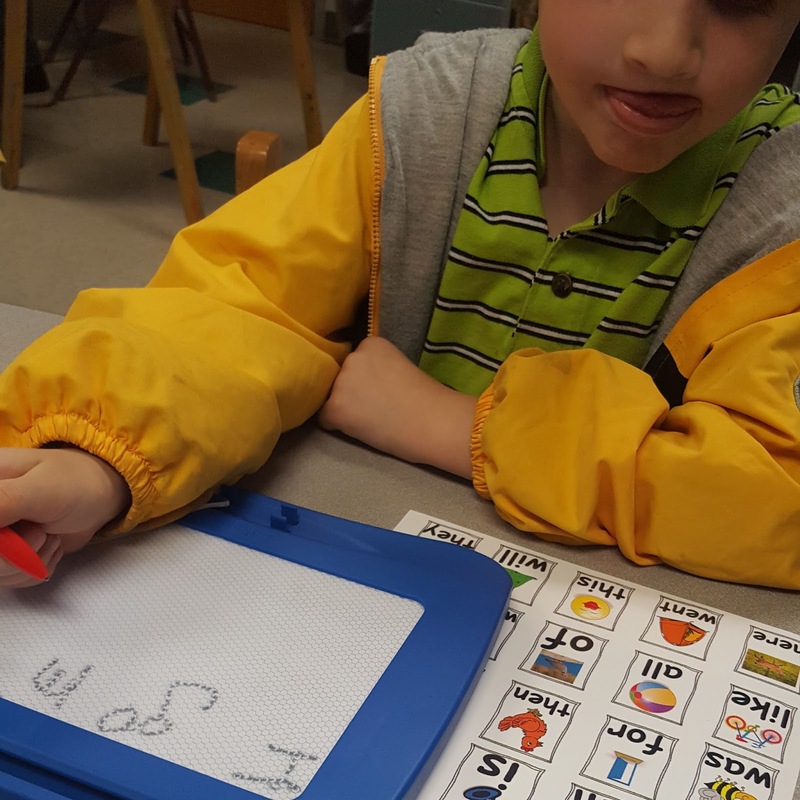 Direct, explicit instruction in kindergarten! "How?" do you ask? 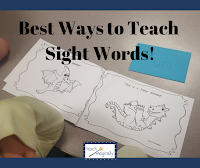 Click to see how I teach these words with direct, explicit instruction on Teach Words Easily. 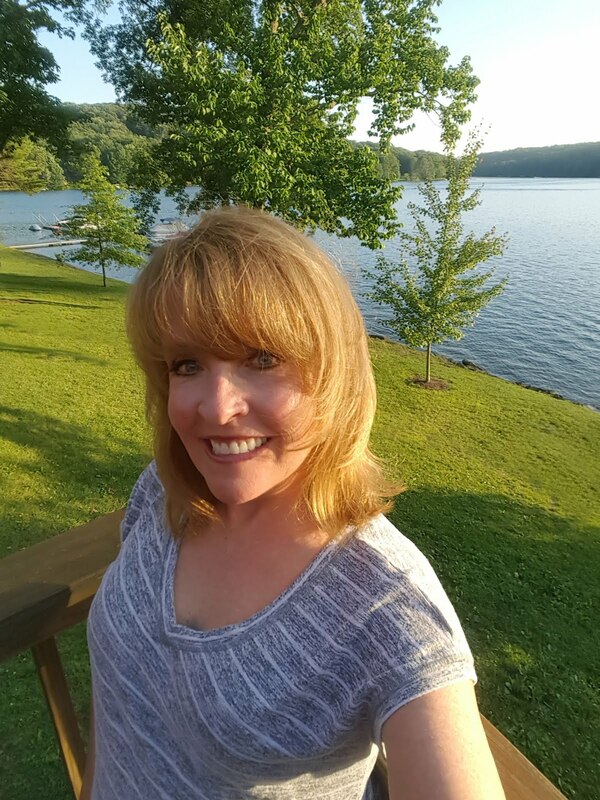 Depending on the level of the group, my instruction changes. 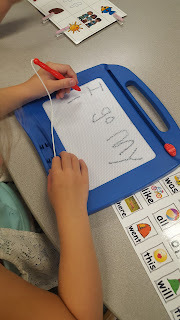 Students that have a good grasp of letter sound relationships write with just a bit of my help. Mostly my focus is reminding them of the spaces and to expand their stories to include more details. 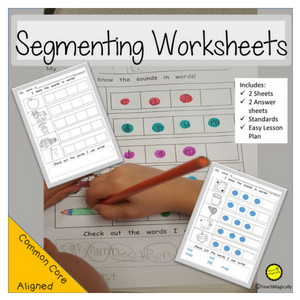 Students that have trouble with sound symbol relationships need much guidance. 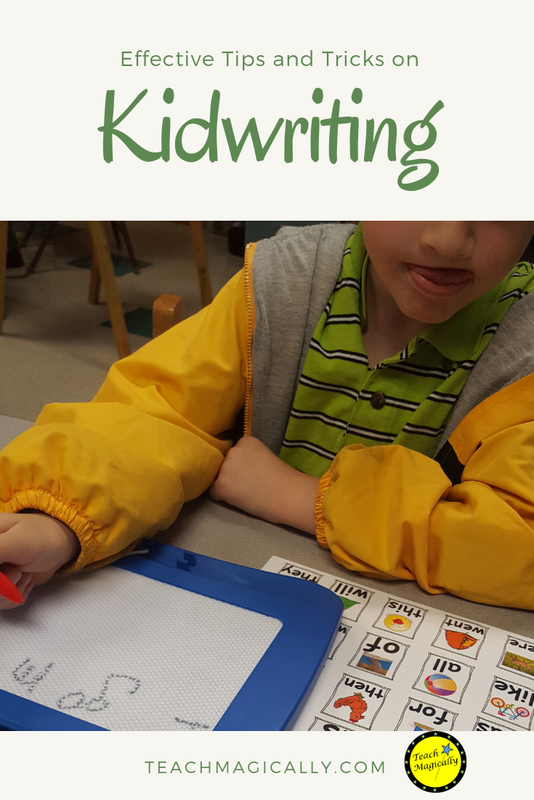 We brainstorm a sentence together and count the words. We stretch or spell the words together. 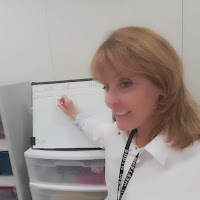 I write the word on the white board and the students do it on their papers. I still underwrite and have the students practice reading and rereading the sentences. Below the students use the word poster during literacy centers to practice writing the words. 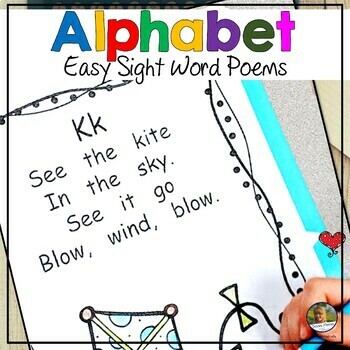 Click to see the Rhyming Posters. I love how they have turned out; the border added an extra touch that I love! I printed them on card stock, laminated and cut them out!! Oh yeah, oh yeah!